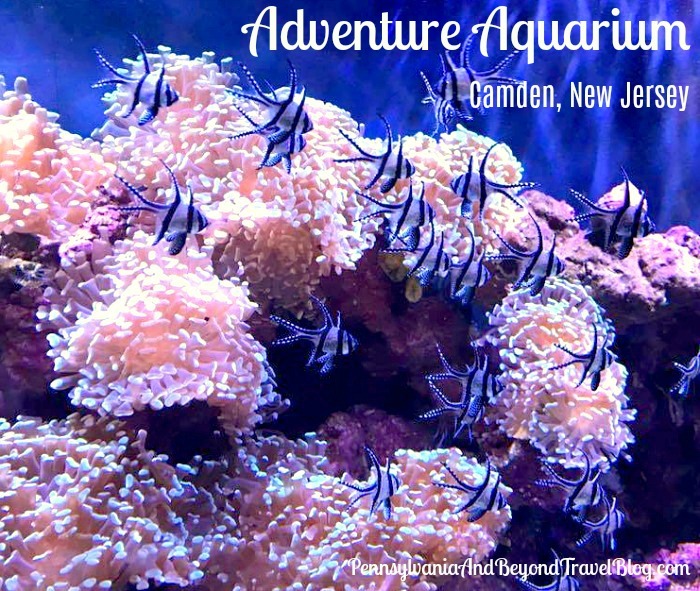 The Adventure Aquarium is one of the best aquariums in the state of New Jersey. It's located right along the Camden waterfront and just a few minutes from Philadelphia. If you're coming from central Pennsylvania or the Philadelphia area, the easiest way to get to the aquarium is by traveling on Interstate 676-East. If you're using your GPS, you'll want to plug-in 1 Riverside Drive, Camden, New Jersey and the directions should pop right up. Every year we like to plan a trip down to the Adventure Aquarium and take our grandchildren along with us. It's a very fun and educational experience for the entire family. If you want to avoid the crowds, try to plan your trip during a weekday. If you go on a weekend, especially a weekend that they're hosting some type of event, it could be crowded. They're open 365 days a year with extended hours during the summer season. You'll find over 8,000 animals on exhibit and throughout the year they host a wide variety of educational programs that are open to the public. You can get their complete operating schedule directly on their website along with other information to plan your trip. One of the reasons we love this particular aquarium is that they have the biggest collection of animals on exhibit in an aquarium setting on the east coast. You'll see all kinds of different fish, turtles, hippos, penguins, coastal birds, etc. on display. The facility is laid out very nicely and its easy to navigate around. From what I learned while there...they offer the largest collection of sharks on the entire east coast. So if you love sharks, you'll definitely enjoy seeing them! 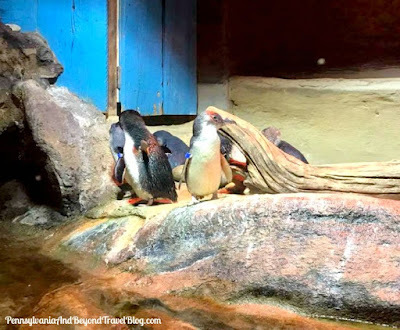 On the day that we visited, our grandchildren were totally in awe of the hippos and penguins on exhibit. 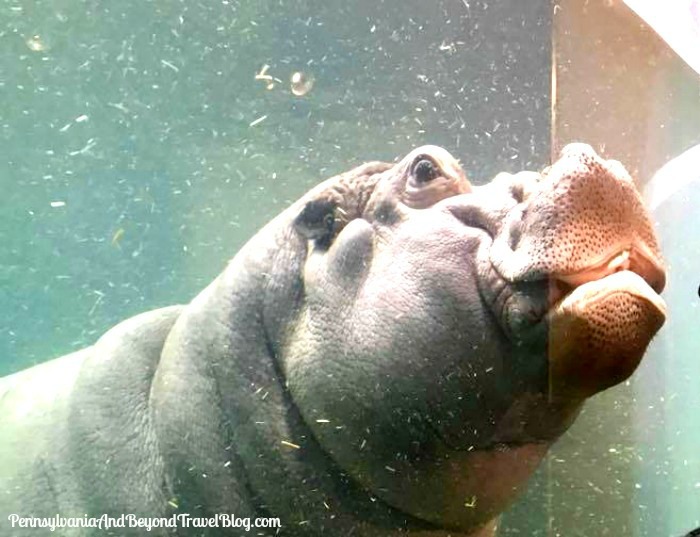 They were pretty excited to get up close and personal (through the glass) with one of the hippos that was on display. My granddaughter was thrilled to see the hippos and was planning on writing her school report on the hippos that she saw that day. My grandson was drawn to all of the fish that were on exhibit. They have a small aquarium filled with saltwater fish at home and this really brought things to life for him. He really enjoyed seeing the "strange" looking species and the "colorful" ones that you don't often see on display. 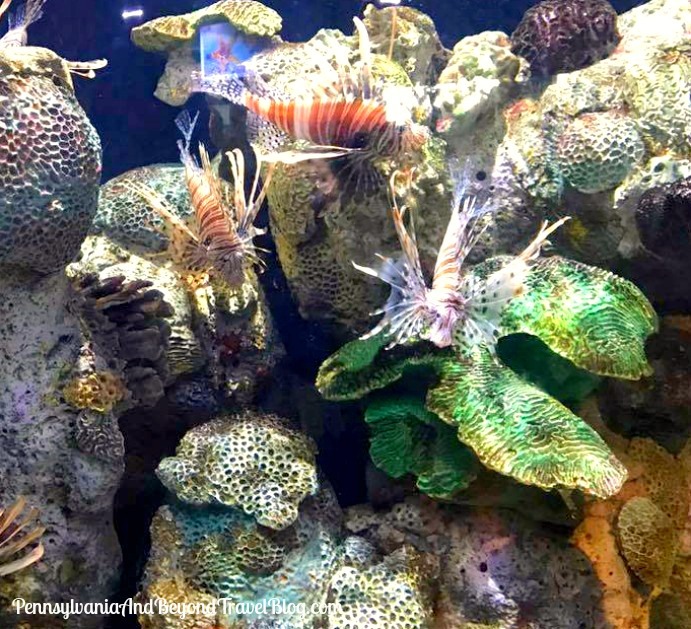 It was like being in a tropical paradise for fish! 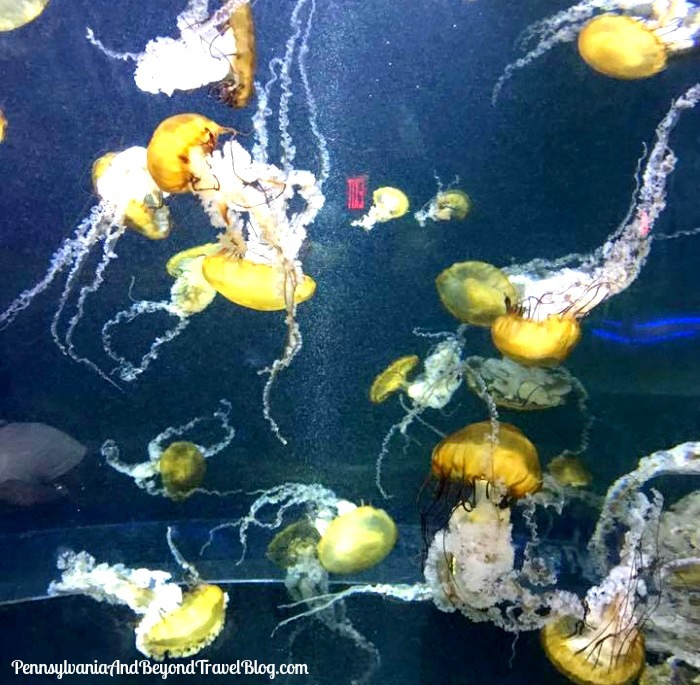 My husband was totally enthralled with the jellyfish! When planning your visit we recommend that you allow about 3 hours in your schedule. This will allow you to really explore the facility and to do so at your own pace. There is a LOT to see and do! Once done, you can do a little souvenir shopping in their gift shop or pick up a bite to eat before heading home. 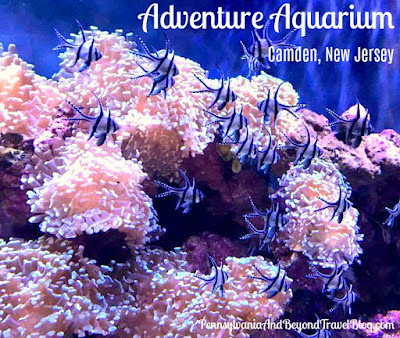 We really enjoy our visits to the Adventure Aquarium in Camden and will continue to visit every year.